We have seen many changes in budget 2014, out of which some benefits are extended to individual tax payers like hike in section 80C, section 24 deductions etc. Today, in this article we will show you how one can avoid tax by taking advantage of various new amendments in IT act as passed in budget 2014. Let us first discuss these changes. 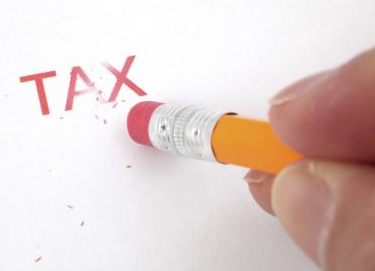 Budget 2014 has increased tax deduction limit of section 80C from Rs. 100000 to Rs. 150000. Any individual or HUF can claim this benefit by investing more in specified list of investments. They can also take benefits if they have incurred some specified expenses like tuition fee etc. Please remember to get Rs. 150000 deduction under section 80C, you are required to invest Rs. 150000 or more in listed specified investments and/or spent your money in specified expenses. This is another best amendment in income tax law for the benefits of individual tax payers. If the house is self occupied and you are eligible for section 24 deductions for interest expenses on housing loan then now you can claim Rs. 200000 (for financial year 2014-2015) as tax deductions instead of the earlier limit of Rs.150000. Earlier basic exemption limit of Rs. 200000 has now been increased to Rs. 250000 for individual tax payers who are below 60 years of age. With this change in tax law, now an individual can save tax for and additional Rs. 50000 compare to the last year limit. By taking these three changes in IT act we have calculated an effective tax exemption income on which an individual will not be paying tax if he is taking full benefit of all these sections i.e. section 80C and Section 24.